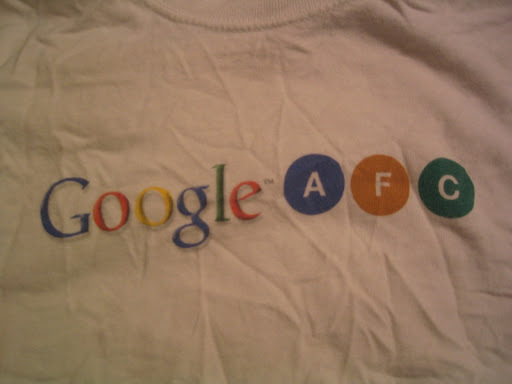 In early 2004 part of the AdSense team had an offsite in New York City where these excellent shirts were distributed. AFC = AdSense for Content. While I don’t recall much of what was discussed (it was a few days before my wedding), we did check out De La Guarda (crazy acrobats meets Rent).